Closeouts. The perfect touch of elegance for wine and cheese affairs, American Atelier’s Madera cheese board set includes a beautifully grained wood block for cutting and serving gourmet cheeses. 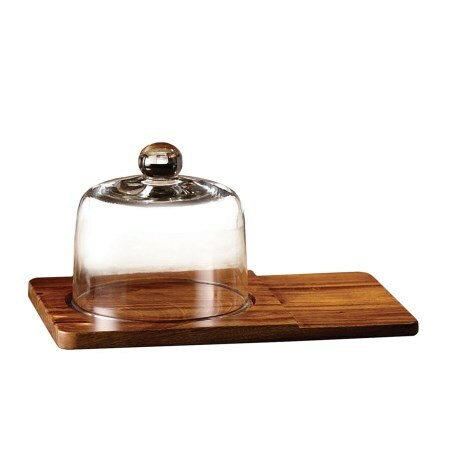 The glass dome allows you to bring the cheese up to room temperature without drying it out.